Money laundering 101 is a rule that you never, under any circumstance, put large amounts of money into a US bank account. Maybe a few thousand dollars here or there but you never put large sums in a US bank. You’re just asking for trouble from law enforcement and most everyone knew. There were plenty of ways to get rid of the cash because there were always people who took cash under the table. Real estate people, car dealers, business owners, you name it they took the illegal money. And if they didn’t take it there were also plenty of places to hide the cash. We use to put money all over the house in odd places like the freezer, shoe boxes and maybe even in breakfast cereal boxes. The trick was to put in places most people would never look. For the really large sums you would have $20,000 stacks wrapped in plastic wrap. It was much easier to handle that way. At the peak or our operation, we were making $20,000 or more a day. We had a lot of cash and moving it wasn’t hard. By age 23 I owned four houses in the Baltimore area. I owned a barbershop and a florist that both did business in cash. This was an easy way to clean a few dollars; an easy way to legitimize the dirty money from the streets. 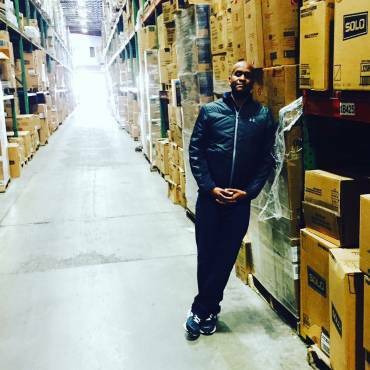 I purchased a business with $100,000 cash. I remember counting out $1,000,000 cash in twenty dollar bills. By the time we finished counting my fingertips were green from the ink on the money. It was the first time I had ever saw that much cash before. Transporting money sounds easy but sometimes it can be difficult. It’s just as risky as transporting cocaine or heroin because if you get stopped be authorities you could be facing jail time. I remember getting arrested in Baltimore, $17,000 in an alley there. It was a midafternoon and I was picking up part of the cash profits for the day from one of the guys. Unbeknownst to us but he was being followed by undercover narcotics officers when he got into my car carrying the bag of money. I drove just around the block when I noticed the burgundy unmarked car behind me. I knew it was the cops so I voluntarily pulled over in an alley letting the guy with me out of the car. As he began to walk away the undercover officers dashed to my car surrounding me. I was arrested with a hand gun and the $17,000 cash. Luckily for me the case was quickly thrown out of court by the Judge because of illegal search and seizure. The judge declared that the officers had no probable cause to pull my car over in the first place. The gun charge was dropped but I still didn’t get all of the money I was arrested with returned. My lawyer suggested cutting a deal with the police department regarding the $17,000 they seized from me. The cops were already pissed off about the case being dismissed. I agreed to take a $8,000 settlement to avoid a potential battle with authorities and ending the matter. Even when you beat the charges it’s still all about the money. Over time money flooding in from the streets wasn’t such a big deal because it was coming in so easy. I would often keep a plastic bag filled with $10,000 inside just for shopping. It would be in the trunk of my car almost every day. That was just to buy things from the mall that I usually didn’t need, but I felt good flashing the cash. In no time at all I had a shopping habit worse than any drug addiction you could imagine. My addiction was all psychological. Shopping and spending money on useless items was my way of easing the pain “the life” had inflicted on me. I was deep in the game dealing with issues many other people would easily kill for. 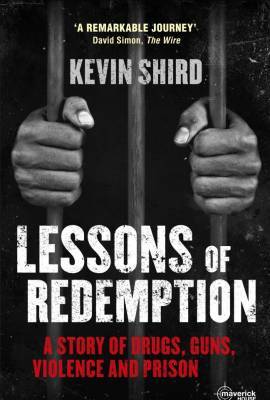 Kevin Shird is the author of Lessons of Redemption, a story of life in Baltimore as a drug dealer turned advocate for social equality. 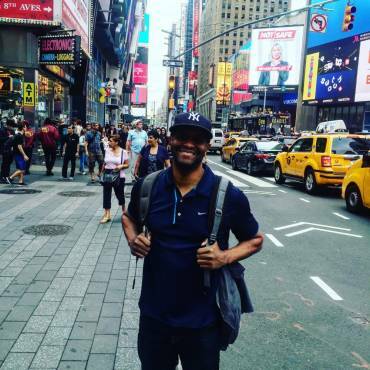 He runs the Do Right Foundation, and regularly makes appearances on US television to speak out against drug use and the associated violence with the business of drug dealing. Lessons of Redemption is available to buy in paperback through our store, through Facebook, or through bookstores in the UK and Ireland, where stocks last. You can also find it on all good ebook retailers.